Wildcat's cardboard Freezer Boxes and Dividers are perfect for storing any vial or tube in your lab. 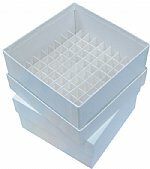 Used to store lab samples for extended periods of time in mechanical freezers in horizontal or vertical freezer storage racks or liquid nitrogen. 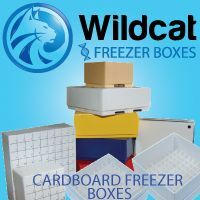 Wildcat is the only freezer box supplier that can print boxes with your custom logo or image in full color. 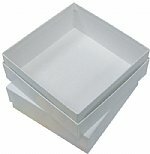 The minimum custom print order is 12 boxes! The boxes are available in a variety of colors, and we can custom print them all. 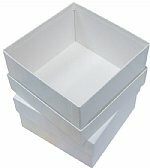 We even carry boxes with and without drainage slots. All are environmentally friendly and made right here in the USA!